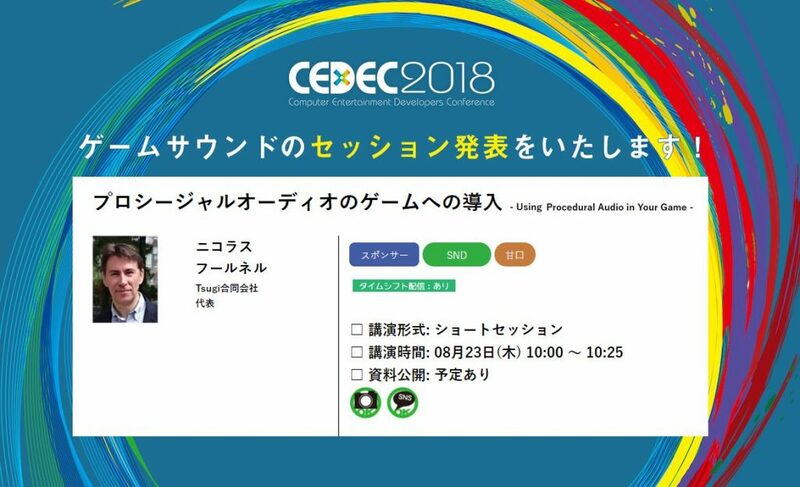 The Tsugi team is back from CEDEC in Yokohama, Japan after what has been an incredible 3-day game conference! Thank you to all our game developer friends in Japan for coming and trying the new version of GameSynth. Thank you also to all the inspiring people we met for the first time on our booth. It was great to see everyone and to talk about procedural audio! On the 22nd, Maeda-san from Sound Design Lab joined us to demonstrate the brand new Engine model for GameSynth 1.1. A former engineer at Yamaha Motors, he is the brain behind this revolutionary GameSynth plug-in, which simulates the inner workings of vehicle engines more realistically than the usual granular methods (and at a nearly inexistent memory cost, too!). Another crowd pleaser was the new Particles model. From super-realistic sound effects to synthetic modulation madness, it can do it all! Designing complex sonic texture by simply drawing on the sketch pad is so enjoyable, some sound designers came back many times during the conference! 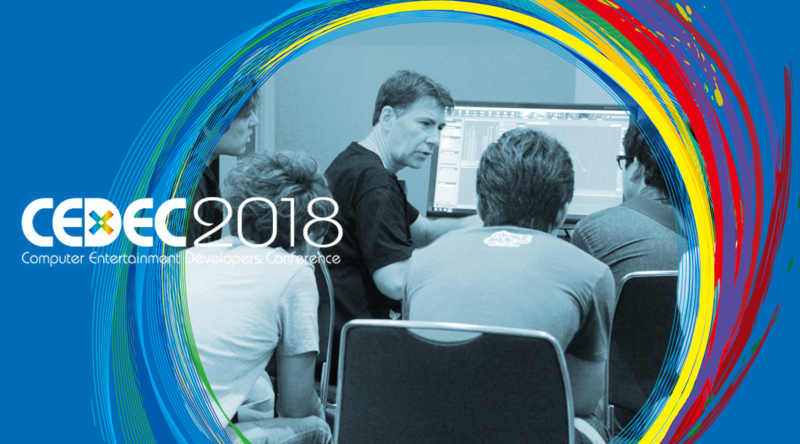 On the 23rd, Tsugi’s founder Nicolas Fournel gave a talk on procedural audio, its advantages and how GameSynth can be used to integrate it with your games. He also explained how GameSynth makes it possible to have a more realistic and expressive sound synthesis through audio analysis and by literally drawing sounds! The video should be available online soon thanks to the CEDEC organization. For those of you who could not attend, we now have a new GameSynth product page with more information and videos than ever and of course don’t hesitate to contact us if you have any questions. Don‘t forget that the new version of GameSynth is at an introductory price until the end of September (USD 290 instead of USD 390). If you are already a GameSynth user, this update is totally free! So grab it now and have fun drawing sound particles, designing creatures, generating whooshes and impacts, or creating your own procedural audio models in the visual patching system of GameSynth!